Parenting opens you to a whole new language. Our keyboard helps you speak it. The EmojiMom app gives you access to 250+ mom-themed emoji, from pregnancy, adoption and birth to infancy and beyond. 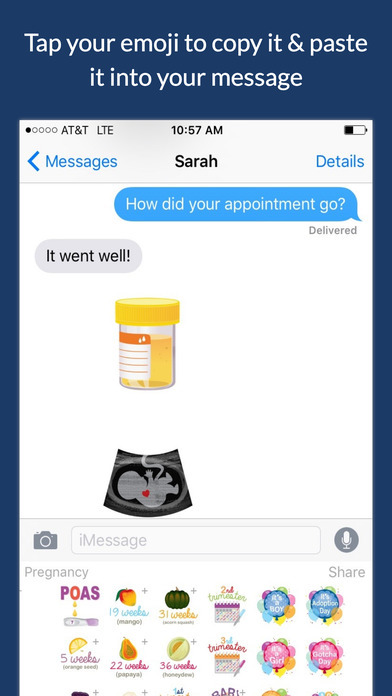 New emoji are being added all the time, so install now to help share your parenting journey. 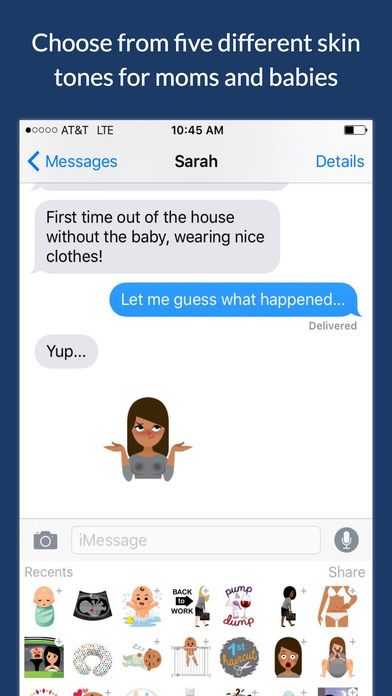 – Smart, funny emoji for pregnancy, arrival, and babyhood. – High-resolution images optimized for iMessage. EmojiMom works similarly to other third-party keyboards. Simply press on the emoji you would like to send to copy it, and paste it into your messaging application. EmojiMom works in text conversations, Snapchat (chat), Twitter, iMessage, WhatsApp, and Facebook Messenger. Please note: EmojiMom will never collect any personal information or transmit anything you type over any network. Turning on “Allow Full Access” is an iOS requirement of third-party keyboards. I've got a bunch of other emoji apps, but none of them look like my life in the slightest. With other apps, I can text Kim K dancing on a pole (relevant! ), an animated Pepsi can, or any number of national flags. I am obsessed with using emojis. This app is so much fun. There are lots of images available for expecting and new moms. I haven't found anything but this app that describes my life at the moment. Well done. Great value. I am loving this app and I am so grateful to finally have emoji that beautifully express what I'm actually going through as a mom! They are fun, smart, hilarious, heartwarming, and totally on point. Yay! Requirements: Requires iOS 9.2 or later. Compatible with iPhone, iPad, and iPod touch.